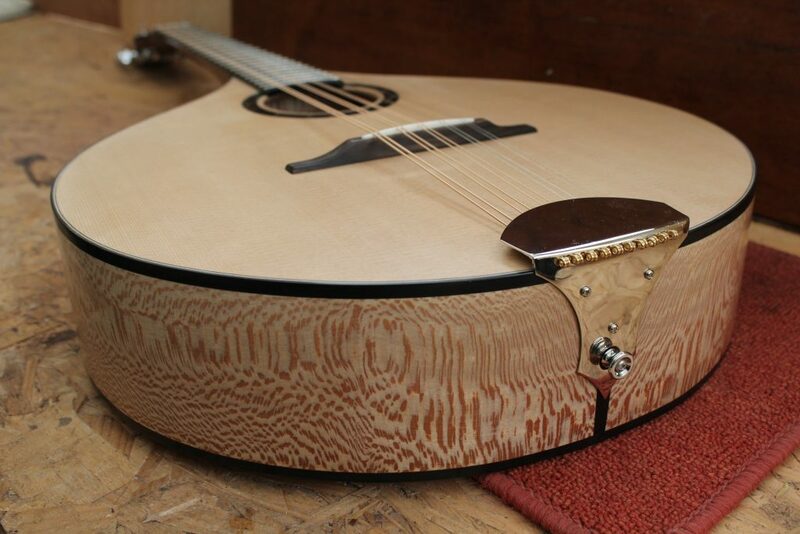 Lacewood cittern, with ebony and sterling silver rosette. Not quite the bank holiday weekend off, but it has meant I’ve had time to catch up on the website. 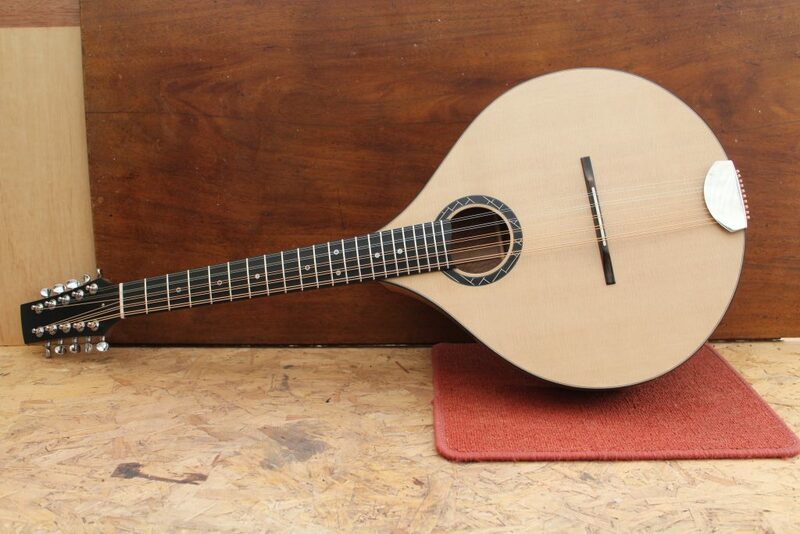 I had a lot of fun building this lacewood 10 string Cittern, set up in open G. It’s not a wood that I’ve used frequently for Citterns, but I’m really pleased with the results. 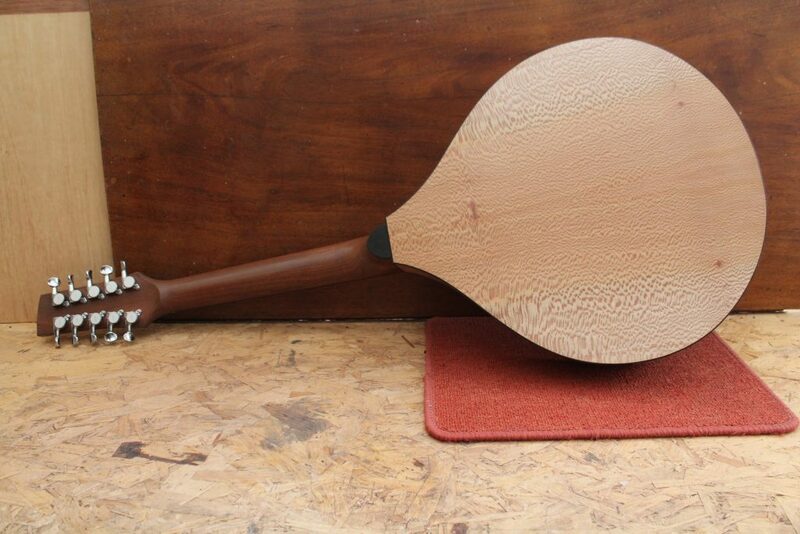 In sound, it has something akin to mahogany, as well as a little maple there as well. Either way, it has a really eye catching figuring. 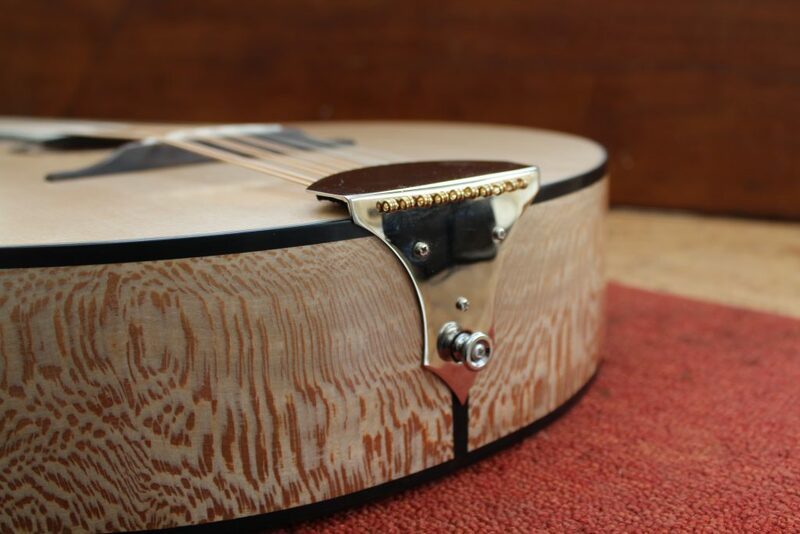 This build had a bit of a silver theme: with an ebony and sterling silver rosette, with a handmade nickel-plated tail piece (it’s a pet peeve of mine when tailpieces don’t match other hardware). 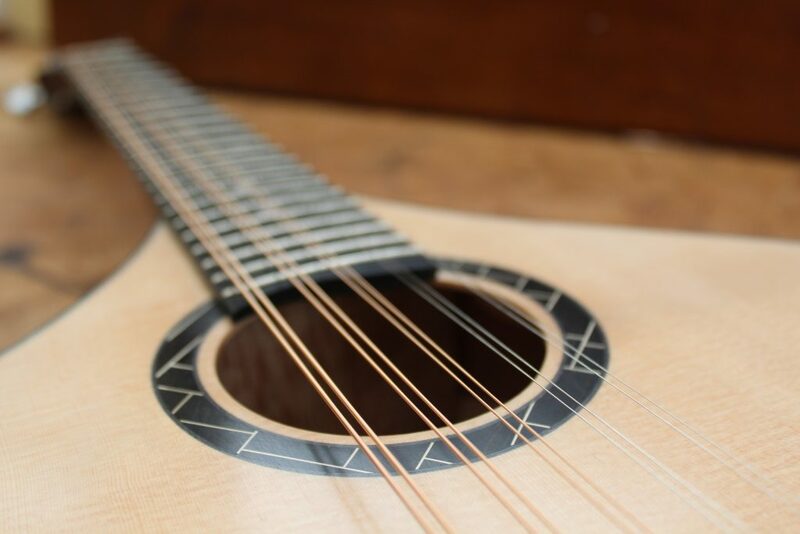 To help deal with the tension of 10 strings, the Cittern has carbon fibre neck reinforcements and double-walled sides to give it a little extra punch. © 2019 Davey Mandolins All Rights Reserved.